2. What happens at a spiritual level through gift giving? 2.1 Is it possible not to create a give-and-take account or a merit/demerit through gift giving? 3. What type of gift should one choose to give? 4. What determines the volume of the give-and-take account when giving gifts? 5. What is the highest gift? Gift giving and receiving is something that all of us indulge in regardless of culture. While we may have given and received gifts all our lives, we may not be fully aware of the spiritual implications of gift giving. In this article, we explain the various aspects of gift giving from a spiritual perspective. The act of giving helps to think of others. When we think of others and put them ahead of ourselves, we reduce our thoughts about ourselves and thereby our ego. This is especially so if the act is done without expectations. Similarly, when we accept gifts with genuine gratitude irrespective of whether we like it or not, we reduce thoughts about ourselves and thereby our ego. This is a spiritual benefit of gift giving. We are either creating or settling give-and-take accounts with the other person. We incur either merits or demerits, depending on the type of gift we are giving and the intention behind it. The spiritual law of Karma is explained in the article on Destiny and the rule of give-and-take. The implication of accruing a ‘give-and-take’ account, whether positive or negative and merit/demerit, is that it keeps us in the cycle of birth and death. So, in other words if one has accrued merits by gift giving, one has to receive the same amount of happiness in either this birth or the next from that person. Until we complete all our accumulated account, we cannot escape from the cycle of birth and death and achieve the true purpose of our lives. 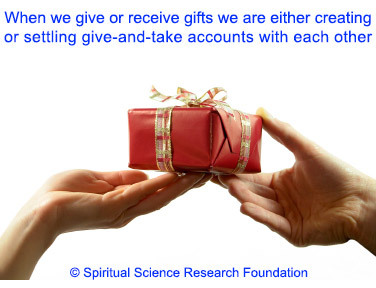 Yes, it is possible not to create a give-and-take account or a merit/demerit when exchanging gifts. We all have the God principle within us. This is known as the Soul. When we are immersed in this realisation and actively experience the God within us then any action done by us in this state does not incur a give-and-take account or a merit/demerit. If our chanting of the ‘Name of God’ is continuous and of the highest order qualitatively then again, no account or a merit/demerit is created, regardless of any action we do. When we give or receive a gift with the spiritual emotion that the God within us is giving or receiving a gift to/from the God within the recipient/giver of the gift respectively. When we exchange gifts without expectations. At a practical level however, to experience the above all the time is very difficult for almost all people. As a result, in almost all cases a give-and-take account is created or completed when we give/receive a gift. However, due to social obligations, we still need to give gifts even though we know that a give-and-take account is created and a merit/demerit is accrued. From a spiritual perspective, the following are some of the things we can keep in mind while choosing gifts. The gift of knowledge: Gifts that provide knowledge about Spirituality and spiritual practice, are of the highest value as a gift that we can give our loved ones. 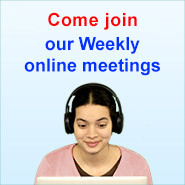 (It’s important that the knowledge conform to the 6 basic principles of spiritual practice). The following chart shows the value of this type of gift compared to other types. Sāttvik gift versus unsattvik gifts: It is always best to give a sattvik gift. 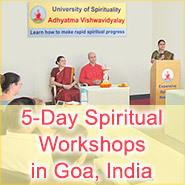 This is because it assists the person at a spiritual level by increasing the sattvikta of the person. Sattvik gifts are like books on Spirituality, spiritual healing tools such as SSRF incense sticks, prayer beads made of a sattvik substance, compact disc containing chants of the Name of God. Gifts that are sattvik generally increase a person’s introspective nature which is necessary for spiritual growth. Gifts that are rājasik and tāmasik generally increase a person’s focus on the outside world and away from any contemplation on spiritual growth. With regard to decorations, in the pictures below we show you two designs of decorations that are used on gifts. 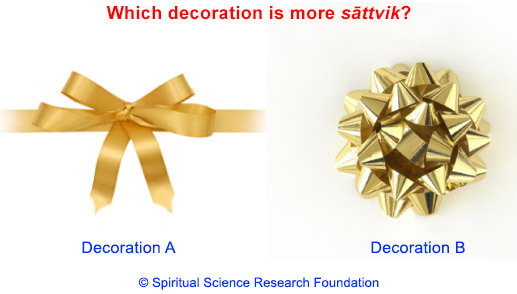 Have a look at each for a minute and see how you feel and which decoration you feel is more sattvik. The answer is given at the end of this article. The main aspect that determines the give-and-take account created between the person giving a gift and the recipient, is the proportion of wealth that a person gives away to another. The following diagram describes how it is the proportion of wealth of oneself that one gives as a gift, that determines the volume of the give-and-take account. Depending on the type of gift, i.e. whether it is sattvik, rajasik or tamasik, the person giving a gift incurs merit or demerit. This is apart from whether a give-and-take account is being created or settled by giving the gift. The intention behind gift giving: If the intention behind gift giving is for the other person’s spiritual growth, then no give-and-take account is created. An example of this kind of gift would be a book on Spirituality that conforms to the six basic principles of spiritual practice that contributes directly to spiritual growth. Any other intention would result in a give-and-take account being created or settled. Here, no merit or demerit is incurred. However, one would grow spiritually by giving such a gift. The type of gift given: Sattvik gifts such as a sattvik picture of a Deity that does not necessarily contribute to spiritual growth, result in merits being incurred. This is because unlike a book on Spirituality, a picture of a Deity cannot provide one with direction about his spiritual practice and the progressive steps to be taken thereafter for spiritual growth. On a relative scale, this would be +30. Rajasik gifts such as clothes, perfumes, novels, electronic games, etc. incur demerits. On a relative scale, this would incur a demerit of -10. Tamasik gifts such as alcohol, heavy metal music, etc. would incur demerits. On a relative scale, this would incur a demerit of -30. The highest gift that a person can be given is by God. This is the gift of life wherein the person gets the opportunity to do spiritual practice (as per the 6 basic principles) and gets access to the grace of God. From a seeker’s perspective, the highest gift is the Guru’s (Spiritual Master) grace as it takes him ahead on the path of God-realisation that is his basic purpose of life. This book elaborates upon the objectives, the correct method of performing a ritual and the underlying spiritual science of familial religious rituals such as birthdays, gifting, inaugurations, etc.